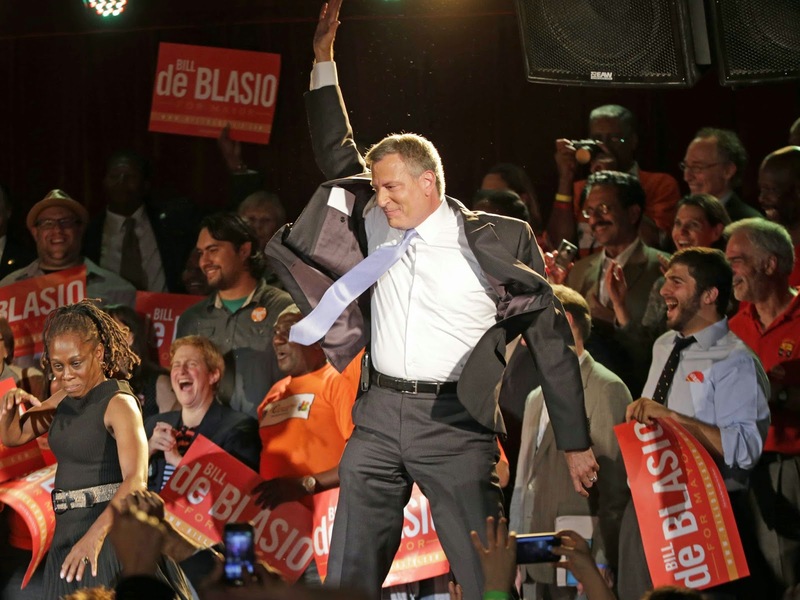 On Tuesday, Communist NYC mayor Bill de Blasio is set to announce the progressive Contract With America. In it, Comrade de Blasio, is looking to outline an agenda that includes "free" child care, higher taxes on "millionaires and billionaires" and a higher minimum wage. All in an effort to popularize himself among low information voters and pretentious liberal elites who believe they can run people's lives better than they can themselves. These freedom hating, liberty crushing fools are looking to completely change what America stands for. This is the new, radical Democratic Party. Here's an example of just how radical the Democratic Party has become. 1. Cut the highest marginal tax rate from 90% to 70% in an effort to grow the economy. 2. Confronted America's number one enemy, the Soviet Union, by using a quarantine to stop ships carrying missiles entering Cuba. "Ask not what your country can do for you, but what you can do for your country!" What modern day Democrat has come out and supported a statement like that? The icons of the Progressive ideology, Warren, de Blasio, Sanders, Pelosi, Obama, etc. all have preached about a more "equal" America. They continuously use socialist rhetoric to get their points across. They disregard all the of what America stands for; freedom, capitalism, individuality, and hard work for a European style welfare state where taxes are high, incomes are lower and people are dependent on government. The new liberal Contract With America is nothing but a list of what the government intends to give away with your tax dollars. It's a chance for the New Left to push an agenda that we've never seen before. One that prides itself on using the coercive powers of government to force you into wasting money on ineffective welfare and unconstitutional programs while at the same time pandering to low information voters by giving them free stuff. Face it America, this is not your father's Democratic party. This is the New Left.